"Taken 3" Opens: Be a Badass Like Liam at Any Age! Actors in their late 50’s normally get cast in more character-type roles as they enter the “mature” stages of their careers. However, that is not true with Liam Neeson. As Taken 3 opened January 9th, Neeson looked better than ever and according to his stunt double, Mark Vanselow, who has been pretending to be Liam since 1999, he does the majority of the fighting. Vanselow says, “He’s tough. We usually end up beating each other up during rehearsals. What you see on screen is mostly him.” Pretty damn impressive for a 62-year-old man, regardless of who he is or what his personal training budget may be. Neeson credits his background as an amateur boxer for his ability to take on these physically demanding parts. Clearly Neeson has found what works for him, and it keeps him in peak physical condition for these types of roles. With that being said, it doesn’t matter that you don’t have the bank account of a mega star like Neeson or that you’re not 21 anymore, there are still some great fitness activities that you too can do at ANY age, and here are three of our favorites! Much like the training Liam does, mitt training is a great full body cardio workout for any age. Hitting the focus mitts is not only a great workout, but is also intellectually stimulating and FUN! Focus mitt training with an active trainer is not only about speed and power. There’s also rhythm, timing, accuracy, strategy and style. The drills can be changed to get a more intense cardio workout, improve your agility, or increase your strength. The trainer will work with you at your personal level until you develop better skills, and your endurance improves. By mixing up the moves and changing the intensity throughout the workout, you'll keep your body challenged and your mind interested. 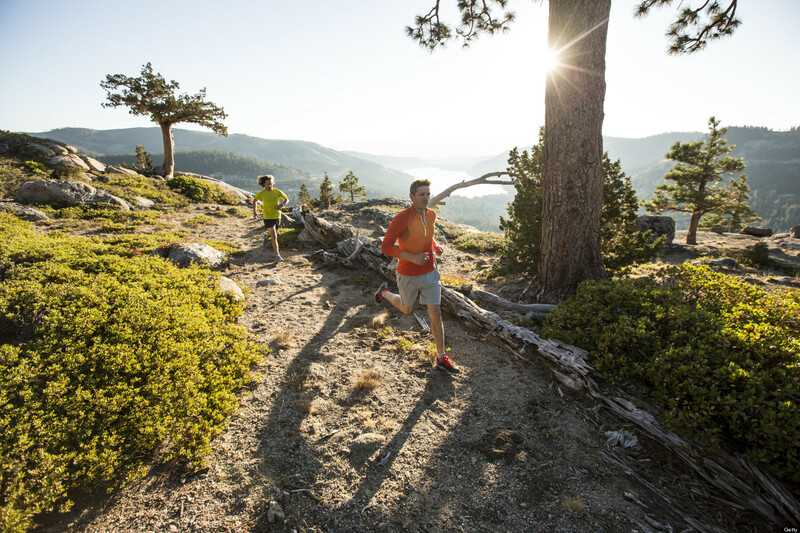 It’s best to find a park or trail and start with a brisk walk for a 5-minute warm-up. Begin to jog for a couple of minutes and move into walking lunges for 1 minute. Next is a 1-minute sprint followed by a 3-minute walk. You can repeat this series 5 times as a beginner. To add some variety, find a tree to do some standing push-ups for 1 minute or hit the grass for some good ol fashion mountain climbers. Try to get in a good solid 30 minutes of this activity 3-4 days a week and not only will your body start to feel amazing but your mood may just follow suit. For those of you who are already fit freaks and want to continue being a force to be reckoned with at the ripe old age of 62, Tabata may give you that kick in the pants that you’re looking for. Tabata is an advanced High Intensity Interval Training (HIIT) workout. It will take you to a higher level of fitness, helping you burn calories and build endurance. Each Tabata set involves alternating two high intensity or anaerobic exercises for 20 seconds, followed by 10 seconds of rest for a total of 4 minutes. This workout is best suited to advanced exercisers comfortable with High Intensity Interval Training. You should be working at a level 9-10 exertion for the 20 second duration. You will repeat 8 times for a total of 4 minutes for each Tabata set. The first 2 part exercise Tabata set starts off with some burpees by squatting down and placing your hands on the floor. In an explosive movement, jump feet back into a plank position. Jump feet back between hands and stand up, adding a jump at the end for more intensity. Repeat for 20 seconds, then rest for 10 seconds. Next, try some mountain climbers. From the burpees, stay on the floor in a pushup position and alternate, bringing the knees in towards the chest, as though running. Repeat for 20 seconds, then rest for 10 seconds. "If you let my daughter go now, that'll be the end of it. I will not look for you; I will not pursue you. But if you don't, I will look for you, I will find you, and I will kill you." Ahhhh, gotta love Mr. Neeson!